How to make an in-store display about weed killer attention-getting, informative, and even funny. No easy task! 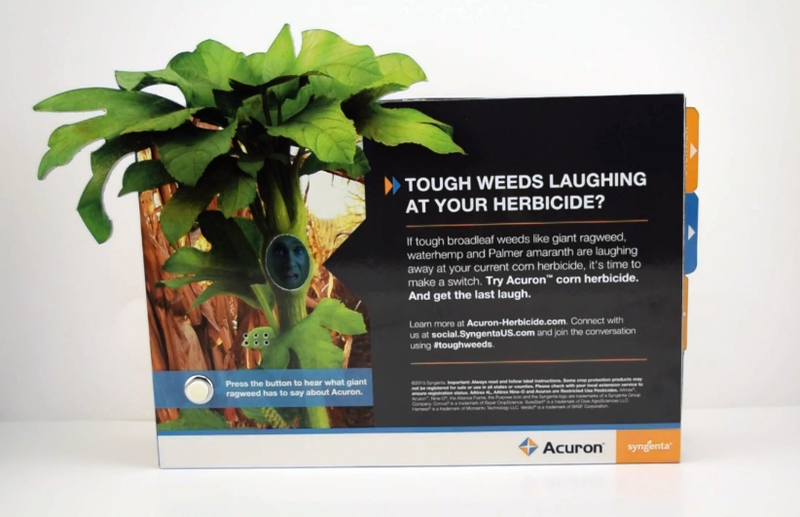 For Syngenta, Americhip created a custom Instore Video Display with the headline, “Tough Weeds Laughing at Your Herbicide?” The lighthearted artwork features a large weed that breaks the plane of the corrugated rectangular housing and appears to be growing right in the store aisle. The weed has a custom oval-shaped diecut hole right where its head would be which reveals our Video Screen and allows this menacing talking weed to both inform and taunt the consumer. Our Paper Engineers designed the Video Display with convenient, slide out tabs that offer additional data, information and tips. 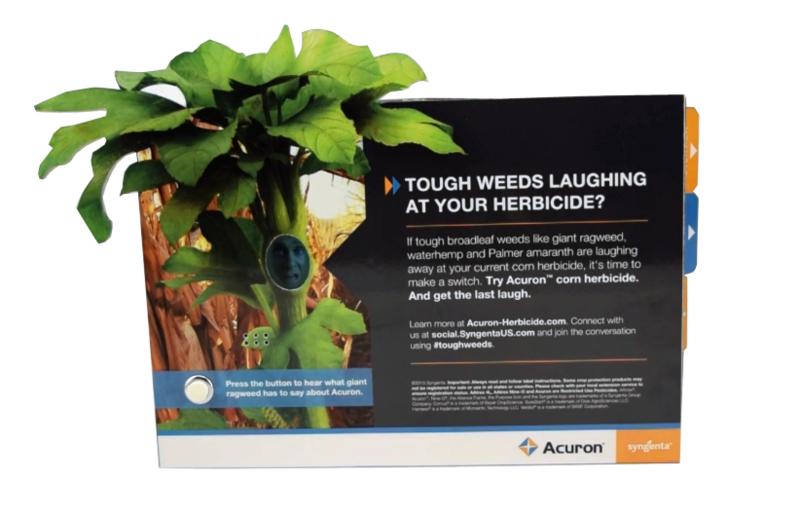 It’s a great attention-getting Instore Display that helps farmers and other agricultural consumers learn more about Acuron herbicide. Who says that fighting weeds can’t be fun and funny? With Americhip’s team of creative and tech experts, anything is possible.